Goose Gossage is a former MLB pitcher who played for the Chicago White Sox from 1972–1976, the Pittsburgh Pirates in 1977, the New York Yankees from 1978–1983, the San Diego Padres from 1984–1987, the Chicago Cubs in 1988, the San Francisco Giants in 1989, the New York Yankees again in 1989, the Texas Rangers in 1991, the Oakland Athletics from 1992–1993 and the Seattle Mariners in 1994. Gossage is a nine-time All-Star for 1975–1978, 1980–1982, 1984 and 1985 plus he is a World Series champion for 1978. Gossage also is the three-time American League saves leader for 1975, 1978 and 1980 plus he is the American League Rolaids Relief Man Award winner for 1978. 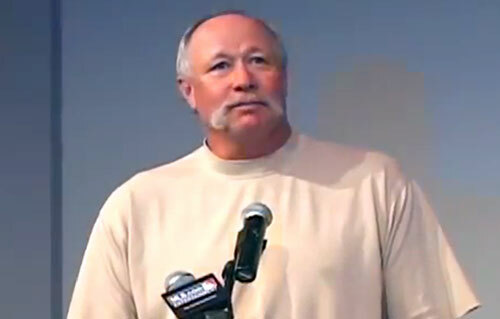 Goose Gossage was inducted into the Baseball Hall of Fame in 2008.